Setting the gold standard for young business professionals. 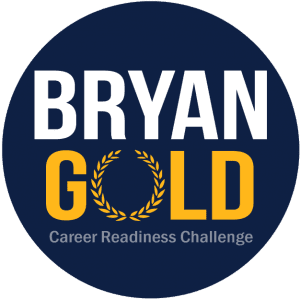 Bryan Gold is a career readiness challenge designed to bolster the personal and professional development of undergraduate students in the Bryan School of Business and Economics. Students can engage in activities tied to eight key competencies desired by employers, and track their progress along the way. Bryan Gold’s gamified approach also inspires healthy competition as students earn points, level-up, and attain badges on their way to the top of the public leaderboard. This holistic experience provides employers with a visual representation of individuals’ accomplishments and proficiencies and helps Bryan School students set the gold standard for young business professionals. Start earning points and competing against other Bryan School students! Please email bryan.gold@uncg.edu if you have any questions.